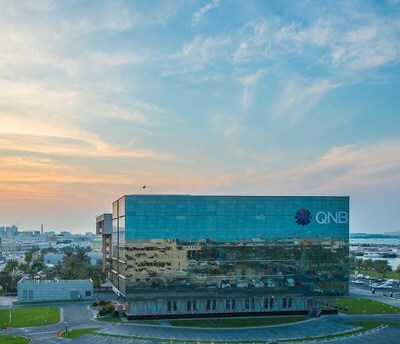 Doha, Qatar, April 9, 2019 /PRNewswire/ -- QNB, one of the leading banks in the Middle East, Africa and Southeast Asia (MEASEA) region, announced its results for the three months ended 31 March 2019. For the three months ended 31 March 2019, Net Profit reached QAR3.6 billion (USD0.98 billion), up by 4% compared to previous year, despite the impact of the Turkish Lira devaluation. Total assets increased to QAR882 billion (USD242 billion), up by 6% from March 2018, the highest ever achieved by the Group. The key driver of total assets growth was from loans and advances which grew by 5% to reach QAR623 billion (USD171 billion). This was mainly funded by customer deposits which increased by 5% to reach QAR634 billion (USD174 billion) as at 31 March 2019. The growth of the Group assets and liabilities has been partly affected by the devaluation in the Turkish Lira. Despite the devaluation impact, QNB's strong asset liability management capabilities helped QNB Group to improve its loans to deposits ratio to 98.3% as at 31 March 2019. QNB Group's robust cost controls helped to improve the efficiency ratio (cost to income ratio) to 25.9%, from 27.8% last year, which is considered one of the best ratios among large financial institutions in the MEA region. The ratio of non-performing loans to gross loans amounted to 1.9% as at 31 March 2019, a level considered one of the lowest amongst financial institutions in the MEA region, reflecting the high quality of the Group's loan book and the effective management of credit risk. The Group's conservative policy in regard to provisioning resulted in the coverage ratio of 106% as at 31 March 2019. Group Capital Adequacy Ratio (CAR) as at 31 March 2019 amounted to 18.5%, higher than the regulatory minimum requirements of the Qatar Central Bank and Basel Committee. During the first quarter of 2019, QNB successfully closed the syndication of its EUR2.0 billion three year senior unsecured term loan facility which is a testament to QNB's strong credit profile. The Group also announced the successful completion of a US$1.0 billion bond issuance under its Euro Medium Term Note (EMTN) Programme in the international capital markets, maturing in 5 years with an attractive fixed rate coupon of 3.5% per annum. These issuances attracted strong interest around the world by key global investors, reflecting investors' confidence in QNB Group's financial strength and its position as the largest financial institution in the Middle East and Africa region. It also reflects their high confidence in QNB Group's strategy over the coming years. QNB Group serves a customer base of 24 million supported by 30,000 staff resources operating from more than 1,100 locations and 4,400 ATMs.